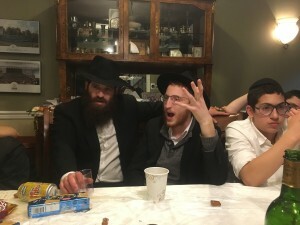 Bochurim have a Freylechin Purim! This Purim, it can only be said that the MLTL Bochurim were Marbim Be’Simcha. 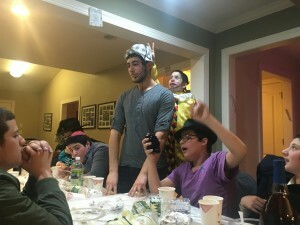 On Leil Purim, after hearing Megillah, we celebrated into the night dancing and Farbrenging at houses of local families, while some Bochurim went to Lein Megillah at various places. The following day some of the Bochurim continued Mivtzoim by reading the Megillah and Mesameach at a local center for the developmentally disabled, in the 20-degree weather no less! Later the Bochurim shared some dancing, seudah, and raised money for future farbrengens at the Yeshiva. 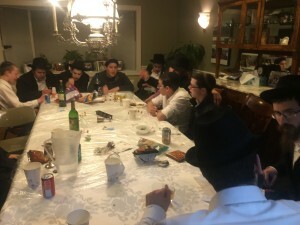 At night, we had a lovely Seudah at Rabbi Hami’s house, and the boys blew away their teachers with some beautiful words of Torah. Till next year, Mishnichnas Adar Marbim Besimcha!